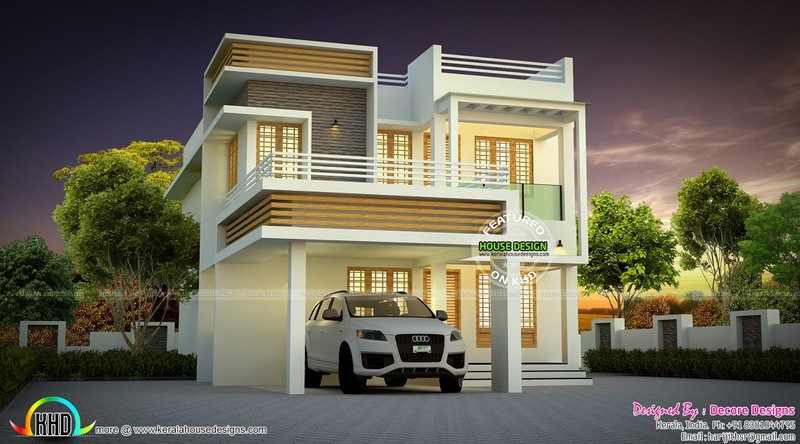 Beautiful contemporary style home which can be built in a small plot of land. Total area of this house is 1710 Square feet (159 Square Meter) (190 Square Yards). Designed by Harijith S R (House plan Freelancer), Kerala. Ground floor : 1140 Sq. Ft.
First floor : 570 Sq. Ft.
Total Area : 1710 Sq. Ft.
0 comments on "Very cute small contemporary home"